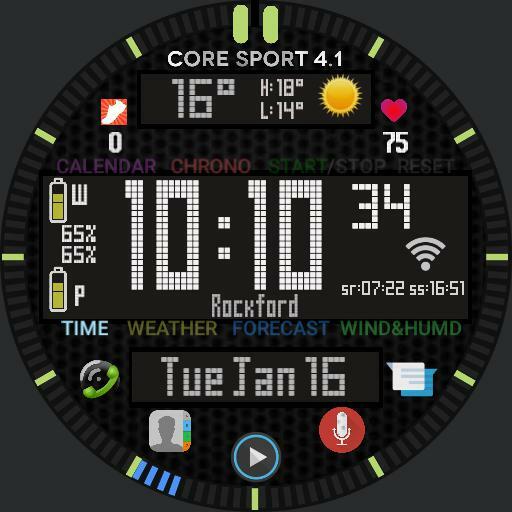 A redesign of the Core Sport 4 featuring multiscreen with weather, forecast, calendar, stopwatch, and agenda. Taps will vary per screen depending on what function you are in. The app buttons you will have to taylor for your own apps.